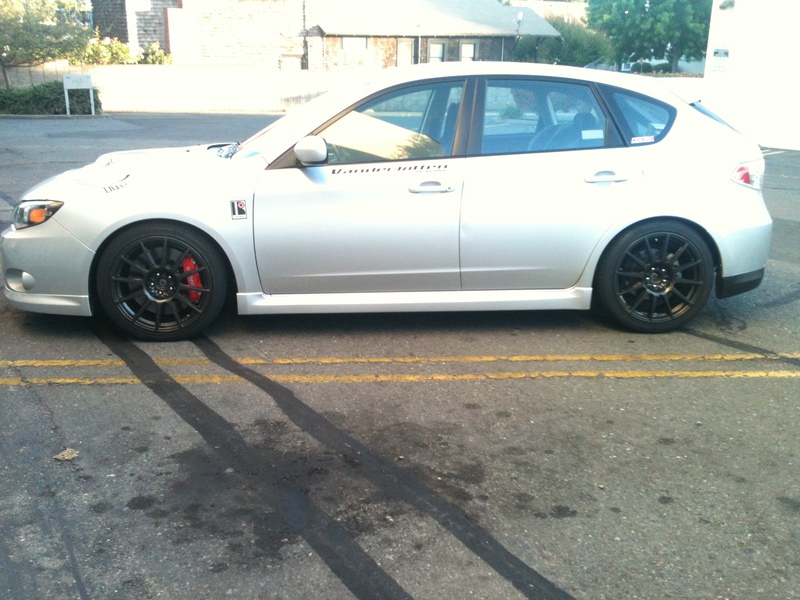 [size=small]TCE/WILWOOD Big Brake Kit- 14 x 1.25" rotors, WS4 Calipers and TCE custom brackets. [/size][size=small]Box and Appearance -[/size][size=small] Very well packaged combo of parts directly from Wilwood and from TCE. Excellent and clear break-in instructions and a general (non-application specific) installation guide. The main goal for me was creating a braking system with fantastic feel, immense braking power for DOT-R or similar tires and the best heat management I could afford. After the bedding-in procedure, I re-bled the system (5 minutes per side) and the result is an amazing pedal feel! I had considered a Master Cylinder brace before, but the pedal is now rock solid and doesn't seem to require a full leg-press worth of effort to stop on a dime! 5-stars!! 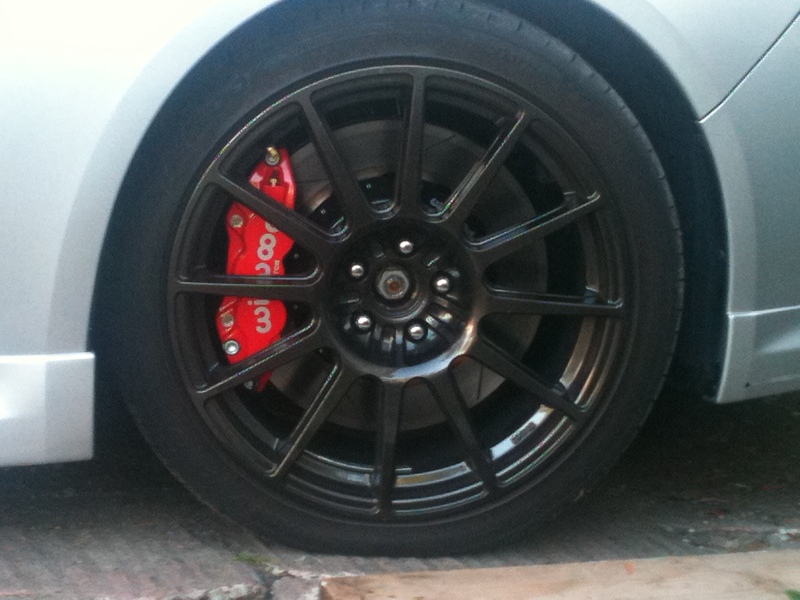 [size=small]Even with the gigantic slotted rotors, the calipers and rotors come in slightly under stock WRX weight for what is twice the brake... F'in Awesome! Torqued Performance "Stage 3" tune. Very nice...355mm FTW! Do get some better pictures up when you have the chance. Nice, those are some beefy rotors, no half measures there! I am so curious as to where the pistons are bored in that caliper, since it looks for all the world like a 6 piston from the outside. There are 2 on either side (the outside humps), and none in the middle. I don't know the diameter, but the 6-piston has smaller pistons. 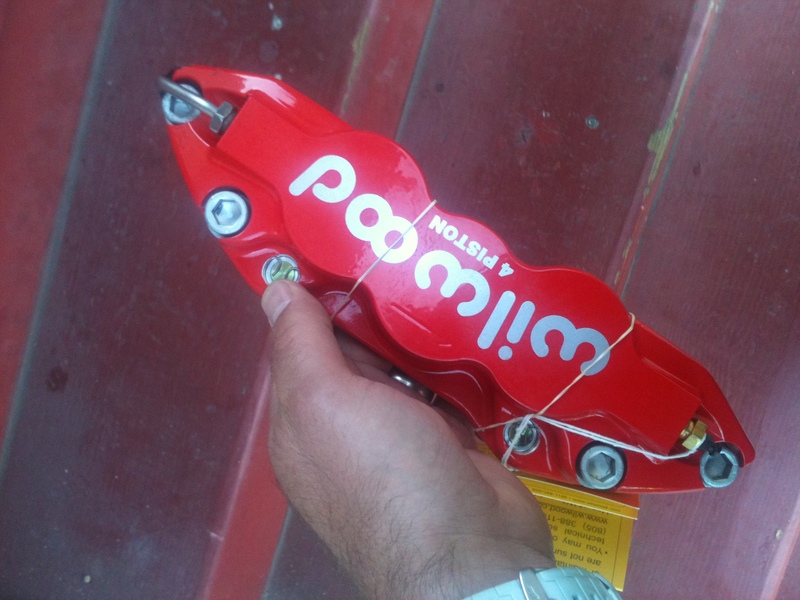 Wilwood probably saves money by just making a ton of the one caliper, but it can be configured in 2 ways. The end result is a poser-6-piston at a good price that works perfectly with the stock WRX Master and looks amazing. EDIT- See Todd's response below... I just bolt the parts on! Clearly for production reasons; there are actually multiple configurations of the same body shell in both 4 and 6 piston. Being the same price however this one is used by design for its appropriate area requirements. I gotcha, mostly for the right amount of area here. Do you happen to know the piston sizes in this particular kit? Hoping to do the test fit for the new rear kit in the coming week finally. Should prove a good compliment to the front kit so long as I can make it all fit as hoped! Tight fit.